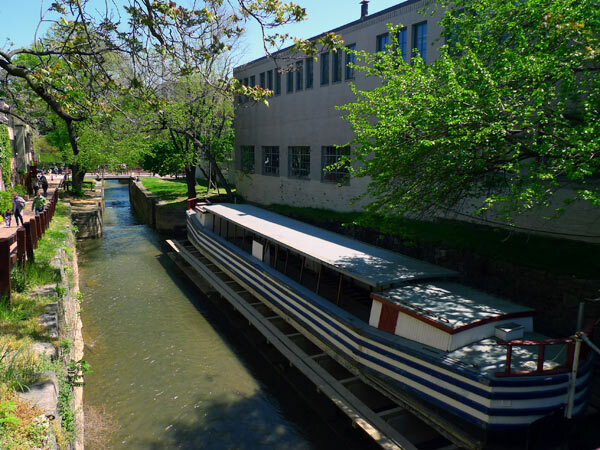 In 1785 George Washington founded the Potowmack Company to make the Potomac River more navigable for trade and westward expansion. The company was divested to the Chesapeake and Ohio Company in 1824, and construction began on an extended commercial waterway on the river’s northern shore. 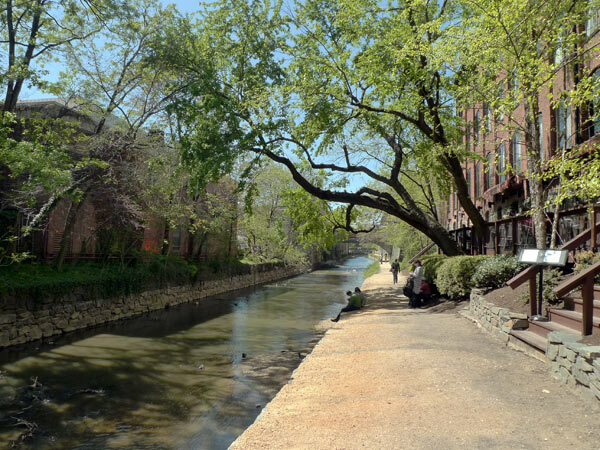 Completed in 1850 with a span of 184.5 miles from Washington, D.C. to Cumberland, Maryland, the Chesapeake and Ohio Canal was constructed under Chief Engineer Benjamin Wright and his successor Charles Fisk. 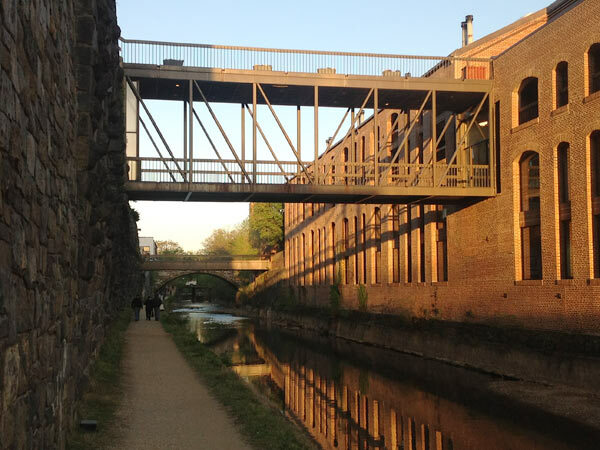 A testament to the technological prowess of the period, the canal system comprised 74 lift locks, seven dams, masonry aqueducts, weirs, and 200 culverts, as well as lockhouses, gates, bridges and a 3000-foot long tunnel. 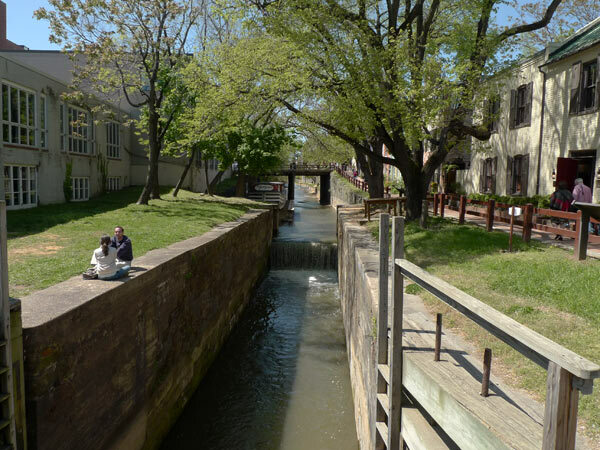 After years of declining use due to competition from the Baltimore and Ohio railroad, severe flooding in 1924 closed the canal’s operations. 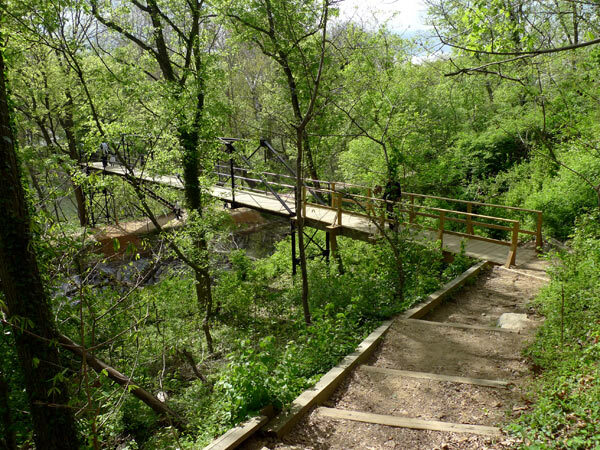 In 1938 the federal government purchased the right-of-way and worked with the Civilian Conservation Corps to transform the former-industrial landscape into a recreational greenway. 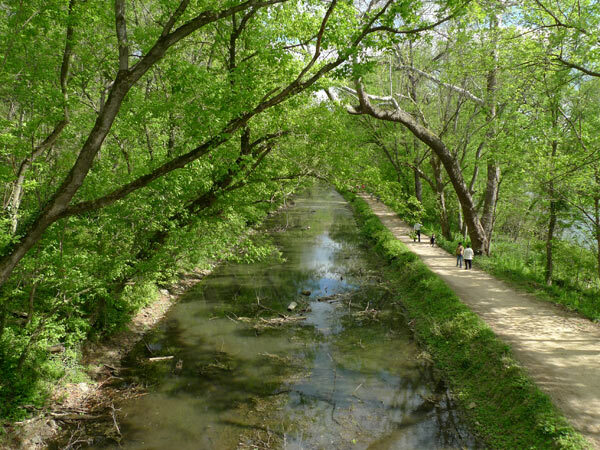 In 1954 it was threatened by a proposal to turn portions of the canal into a scenic parkway; the proposal was thwarted by a highly publicized effort led by Supreme Court Justice William O. Douglas. Today the national park is defined by native woodlands and rugged rock outcroppings and 22 miles of canal complete with flowing water and operable locks. 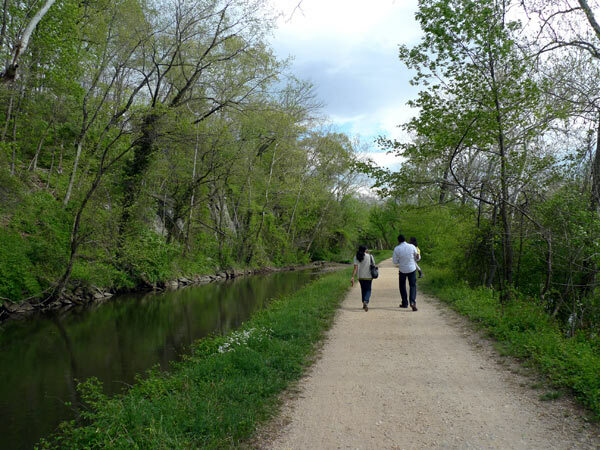 The former towpath has been adapted as a popular gravel walk for hikers and joggers. 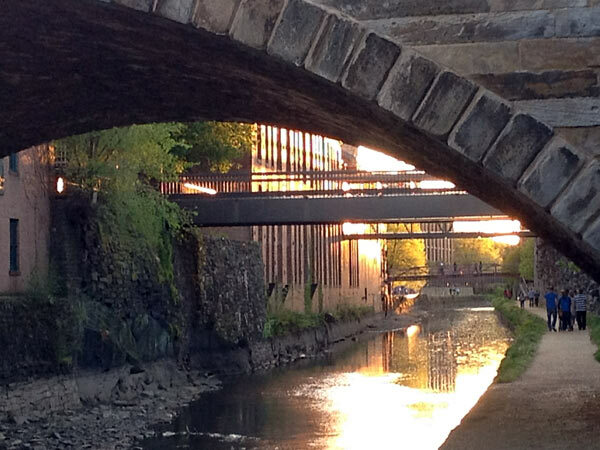 In 1961 the canal was named a National Monument and in 1971 designated a National Historical Park.